Call us today if you are willing to get the relocation of your home or office in, from or across Plumstead carried out properly. We are the right people for you for a variety of reasons, and the end of your moving day you are going to wonder how you could have even considered not getting in touch with us. 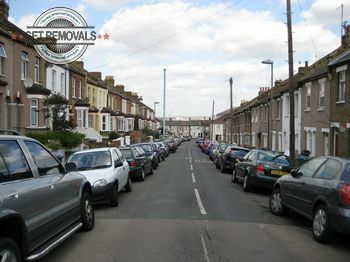 We have years of experience tackling removals in Plumstead, helping residents and business owners. We drive a huge fleet of up to date vans that are very clean and in impeccable condition. They will be perfect for your project, no matter what its specifics are. At our disposal we have a wide variety of specialized removal tools and equipment that further ensure the efficiency of our methods. In addition to our domestic and commercial removal services covering Plumstead and the surrounding areas, we are able to offer you packing services, storage and rubbish removals that will make you relocation experience complete. On top of everything described above, we have managed to tailor a special custom pricing system that will make our services affordable to you no matter what the current budget you have to operate with is. The thing we do is take the specifics of the task and then come up with an optimal solution to all of them, thus tailoring the best quality for price ratio possible for moving services. Do not hesitate to get in touch with our polite, knowledgeable and extensively experienced customer support team if you have any questions or need further information regarding our moving team and removal services. Our experts are available for contact around the clock via call center coordination. They will gladly take the time to explain everything to you and provide you with a free non-binding quote for your project. They will also arrange our schedule in a way that you can get our services delivered at the most comfortable time of the way. Having us work for you is a real deal – do not miss your chance. Give us a call today for booking and a free quote. Do not hesitate to get in touch with us if you need our services on the territory of the South East London district of Plumstead. Part of Greenwich Plumstead is a well established (one can even say affluent) community with long history. It is a pleasure to both live and work here. During a part of the 20th century there were several industrial estates still operating in the area, but after a period of gentrification and regeneration, Plumstead became a primarily residential district. The former workers’ houses are now renovated, and new developments have been erected, so that living here is comfortable, peaceful and quite easy. Among the residents of Plumstead that deserve a mention are snooker player Steve Davis, footballers Charlie Buchan, Chris Dickson and Malvin Kamara, motorcycle racer Charlie Collier and a great number of other sports figures, musicians and popular actors.